SICILY. Siculo-Punic. 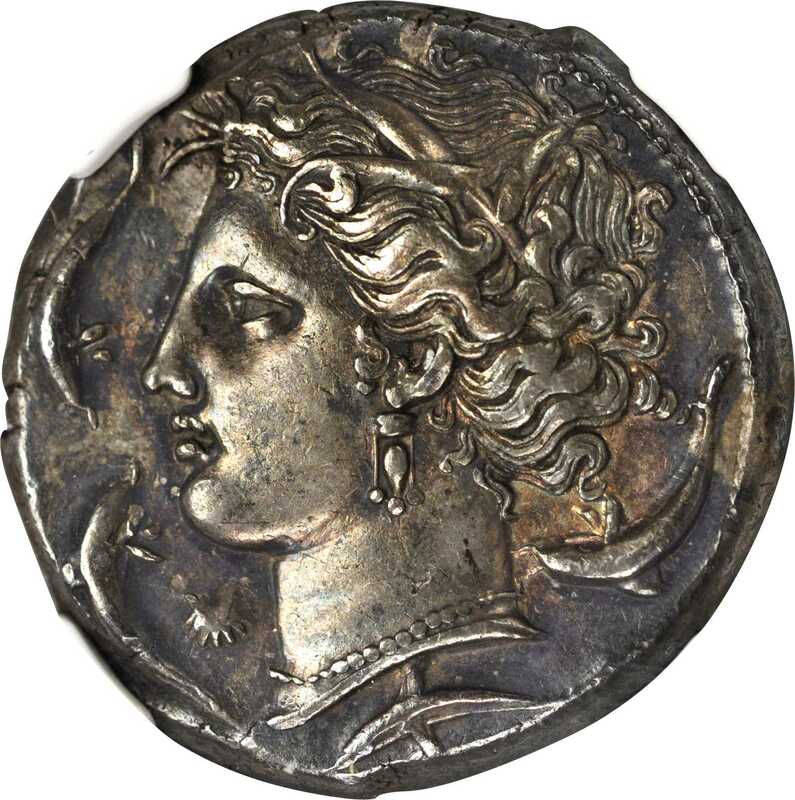 AR Tetradrachm (17.16 gms), ca. 320-300 B.C. NGC AU, Strike: 5/5 Surface: 4/5. Fine Style..SNG Cop-85. Head of Tanit facing left wearing wreath of reeds, shell below chin and four dolphins around; Reverse: Horses head facing left, palm tree at right, "People of the Camp" (in Punic) below. An exceptional piece featuring a tremendous strike with fine style dies, great centering and pleasing dark tone with iridescent highlights. A monumental piece sure to bring prestige to any collection..From the Greenway Collection.